You never know what might happen when the kids go away to summer camp. Last year my husband, Nathan and I built a pretty awesome loft bed for our daughters (if we do say so ourselves). It was a massive project, but worth the effort for sure. 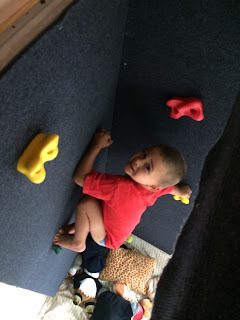 Not only did it give them a unique, private hideaway, but it also won them lots of "cool" points with friends whenever they discovered that the only entrance is a rock climbing wall. So, last year we built some beds. This year we went to check out a boat which could be our family's future, floating home. To tell the whole story I have to take you back to Spring Break when we stopped in to see Brent Hermann at the Catamaran Company. 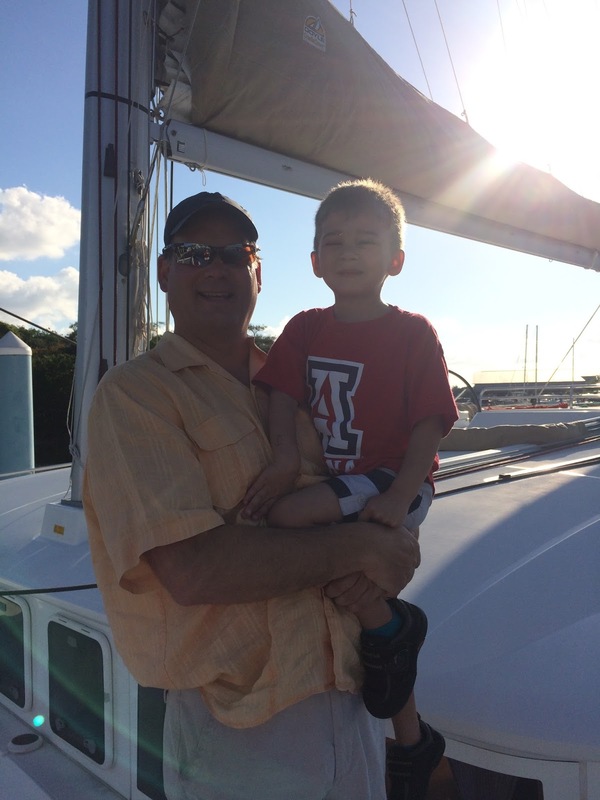 He was the broker who sold us our old liveaboard catamaran; the 42" Manta, "Hakuna Matata." But he is also a friend. And we were in the area. "We're not in the market and won't even start talking about boats for another year at least," we said. Like a bad game of "telephone," somehow Brent heard, "We're ready to buy another boat!" So we went around the marina in Ft. Lauderdale, Florida checking out some boats. It felt good to be near the water and on a boat again. But mostly it was an experience of being in a constant state of rapid-fire heart attacks as our 4 year old son, Samuel, darted between one danger and the next. After a few boats, and more close calls than I can count, we wrapped up our little tour. "Clearly, we aren't ready to move onto a boat with this little guy yet!" I said. Brent heard, "Find us a boat right away!" On our way out of the marina 10 year old Ahava spotted a boat named "What's Next?" and asked me to take a picture of her in front of it since it was a perfect question for this delightfully adventurous family of ours. Little did we know, a few months later Brent Herman would be telling us he had found the perfect boat for us. "What's it called?," Nathan asked. And so it was, while the girls were away at summer camp this year, we left Samuel with our babysitter (Miss Linda) and went for a couple's trip to Ft. Lauderdale to check out what might be our "What's Next?" Definitely! But then again, every environment is fear-inducing with this busy, fearless little boy!